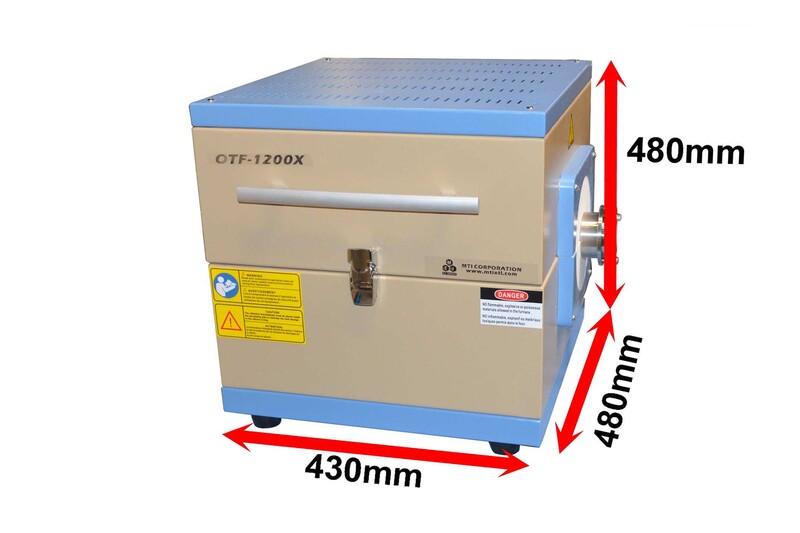 OTF-1200X-S-12 is a UL certifiable compact and energy saving (3000W power consumption) split tube furnace with a maximum working temperature of 1000°C and All electric parts are UL / MET / CSA certified. 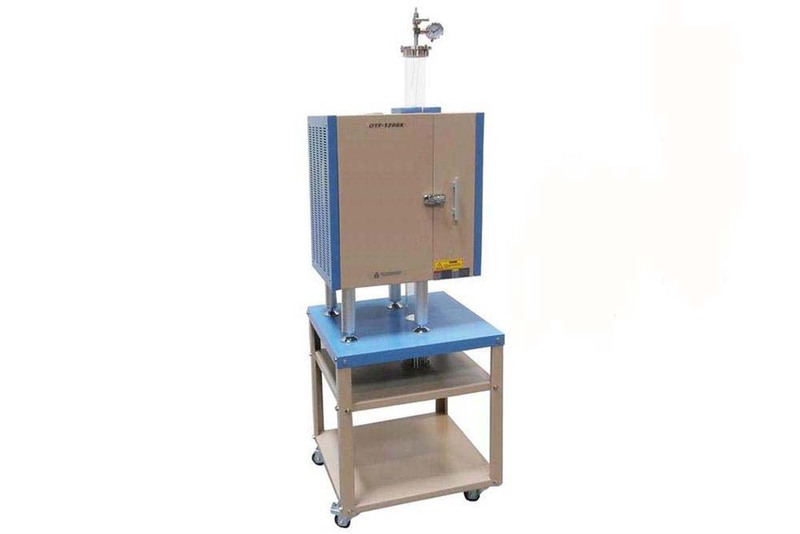 The furnace can be adopt either a 4" and 5" (130mm) O.D quartz tube (optional) with a pair of stainless steel vacuum sealing flanges. 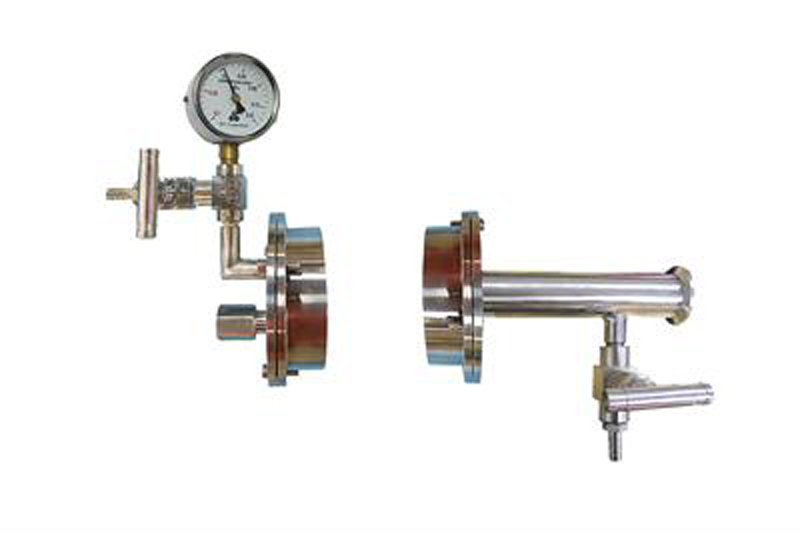 The 1/4" barb fitting for rubber hose connection allows heating sample in vacuum or flowing gas. 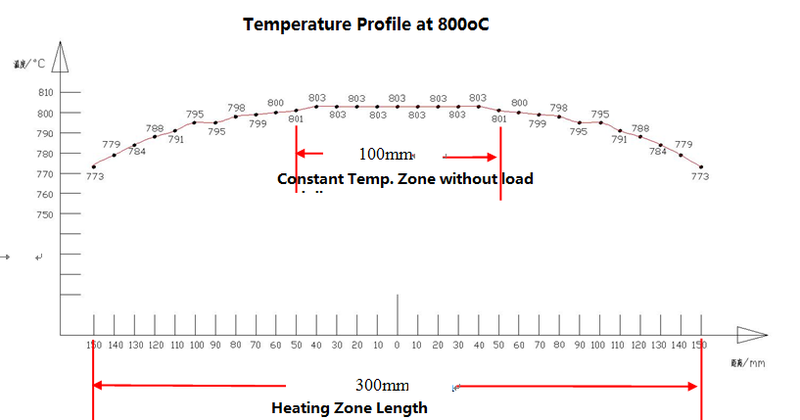 Built-in precision temperature controller can provide up to 30 segments of heating and cooling steps with +/- 1 °C accuracy. 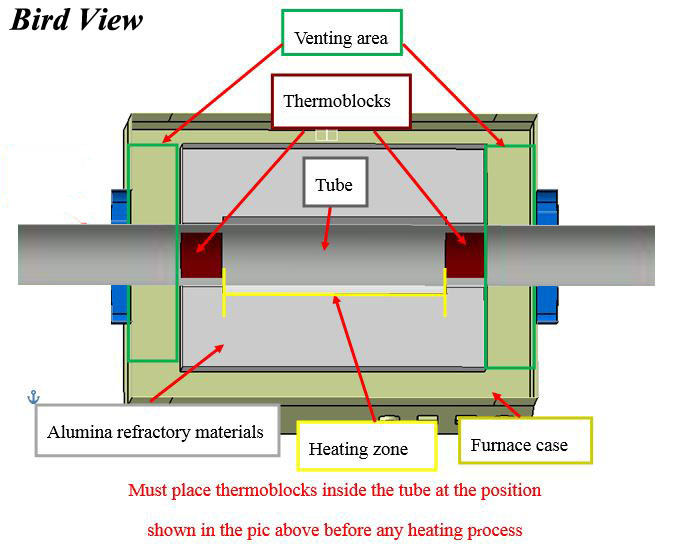 High purity alumina coating on refractory ceramics for longer service life. 12 " (300mm), single zone. Optional: The furnace may be operated by PC with installing a control module. 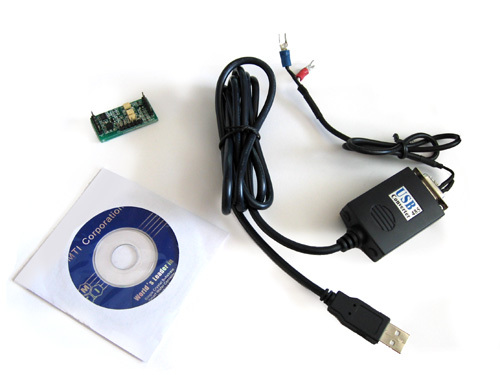 Please order a MTS02-B control module at extra cost. You may consider quick connecting flange at extra cost. 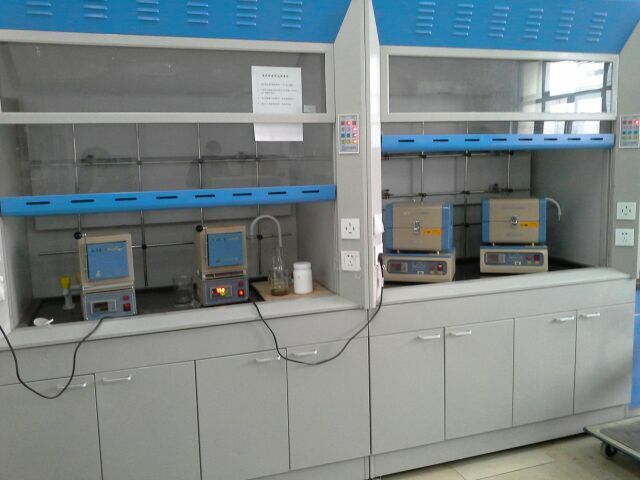 You may click the pictures below to order furnace with vacuum pump and a temperature caliberation kit. 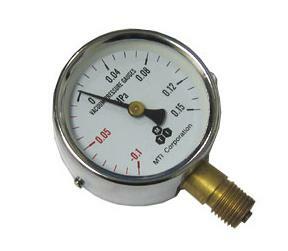 Standard mechanical vacuum gauge measures within a pressure range of -0.1 to 0.15Mpa is included. 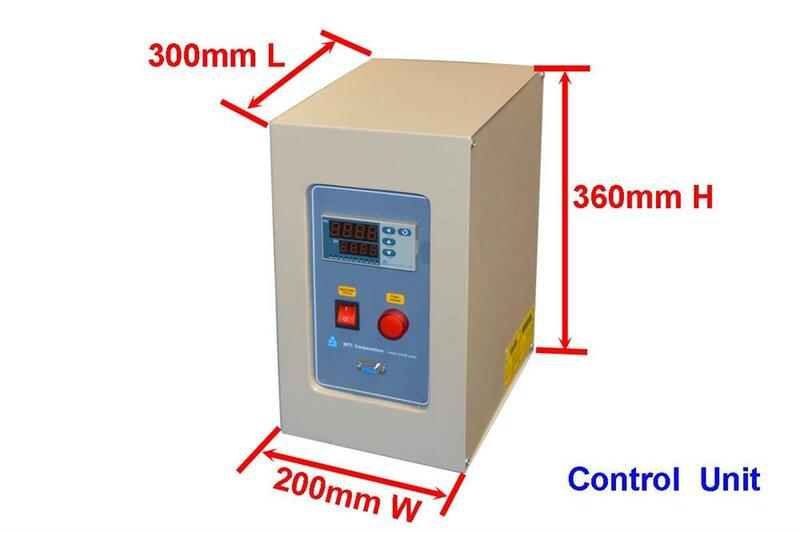 OPTIONAL: A gas-type indenpendent (above 10mbar) digital vacuum gauge with wide range between 3.8x10-5 to 1125 Torr. 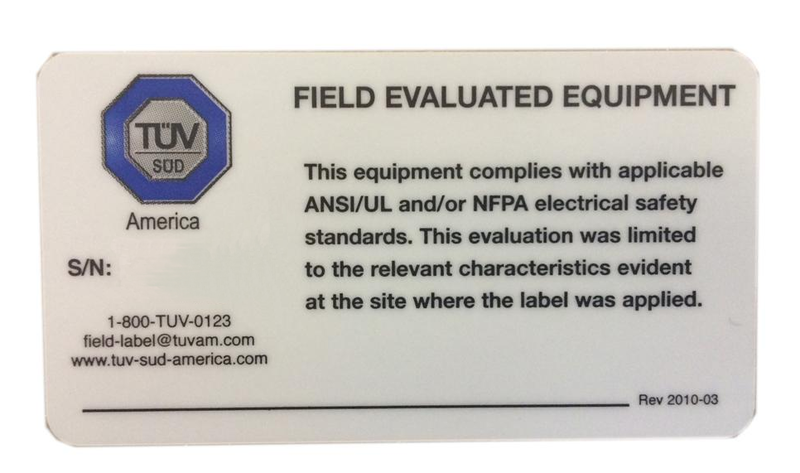 Aside from greater measurement precision, this gauge reduces risks of chamber explosions caused by incorrect reading of gas pressures due to gas-type dependency.